In Paris, her days are filled with a budding romance with a doctor who is escaping his own demons. Her nights contain dreams of a maze, rooms filled with turning points from her past, and letters urging her to save her life if she can find the map of Heaven first described to her as a child and now enshrined in a painting haunts her dreams. During these nocturnal trips through an endless maze, Elizabeth meets an astronomer searching forgiveness, an artist searching for immortality, a mother searching for revenge, and an atheist searching for God. MAP ranges from a small Midwestern town to the streets of Paris, from the depths of Hell to a sandy beach that might be Heaven. With only days left, Elizabeth is offered a choice. To save her life she must give up everything she has gained: the solution that is finally within her grasp and the man she has fallen in love with. Which will she choose? The rest of her life or the best week of her life? 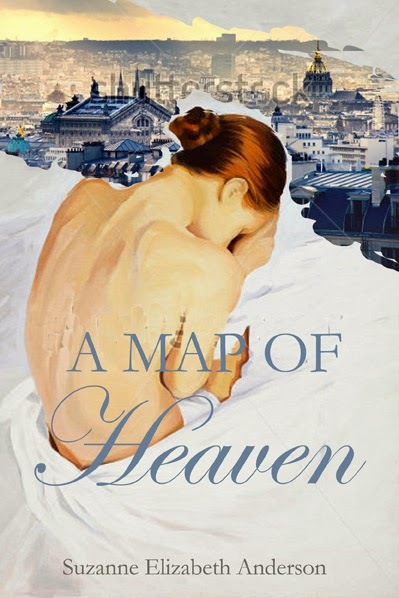 A MAP OF HEAVEN is women's fiction that will appeal to fans of Mitch Albom. Can't wait to share more with you, next week!